xFace is a startup company founded by Johannes Wolkerstorfer. It offers products and services for communications electronics. 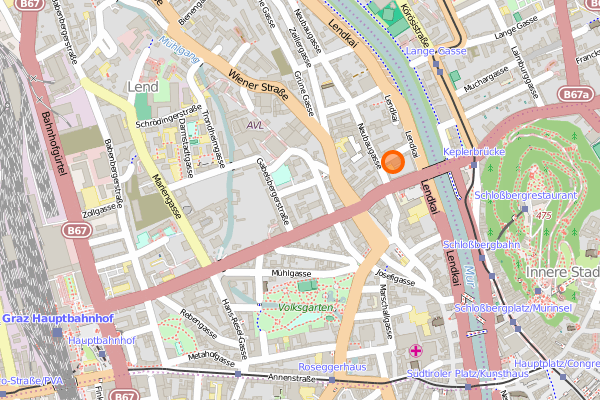 xFace is located at Neubaugasse 24 [maps.google.at]. The office is at the first floor. The entrance to the building is in the court. By car. Exit highway A2 at Graz-Ost (Exit 59). Go to the center. Cross the Mur river. Head towards Graz main station through Keplerstrasse and turn into Neubaugasse. By train. xFace is a 10-minute walk from Graz main station. Walk down Keplerstrasse for 1200 meters. At Neubaugasse turn left into Neubaugasse. By tram and bus. The bus station "Lendplatz" of is a two-minutes walk away from xFace. Buses 58, 63 stop at station "Lendplatz".